Yet unknown to so many travelers to Africa, few of the world visitors have been able to undertake a Uganda safari in Africa,to explore her unique natural attractions. Uganda safaris in Africa have proved that Uganda is one of the most varied countries in Africa endowed with rolling hills, wide-open Savannah, glacial alpine mountains, abundant wildlife, sparkling crater lakes and definitely more than 400 out of the world`s 880 endangered Mountain Gorillas that combine to make Uganda Safaris memorable. Virtually untouched and pure, Uganda is still traditionally African, home to the world`s friendliest people, lush green and her incredible weather is enjoyable and friendly all year round. Total Area: 236,040 sq km’s. Area Under Water: 36,330 sq km’s. Area (land) :199,710 sq km’s. Languages: English (official) Luganda, Bantu Languages, and Nilotic languages and Swahili. Religions : Roman Catholics;33% Protestants 33%, Moslems 16% Others 17 (including Pentecostal which has gained a lot of follower. Independence Date: 9th of October 1962. Industry: Brewing, Sugar factories, Cotton, Tobacco , Cement, Coffee, etc. Climate: Tropical Accessibility: By Air, Entebbe International Airport, by Land through Busia and Malaba in the East, Katuna in the west and Mukula in the South. Standing in the East of Africa sharing borders with South Sudan to the North, Tanzania to the south, Kenya to the East, Democratic Republic of Congo to the West and Rwanda to the South west, like you will discover during your Uganda safari, Uganda is a land locked country whose connection to the coast is through Kenya and Tanzania. In fact, most of her cargo that is not handled by Air direct at Entebbe International Airport is handled through Mombasa and Dar es Salaam ports. Uganda has a total geographical coverage of 241,551 km2 of which 200,523km2 is land while 41,028 Km2 is water. 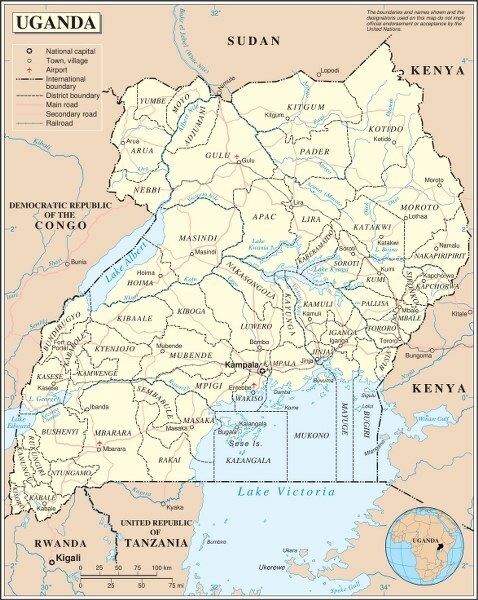 The country features an average altitude of 1,200m above sea level with two extreme average points namely; the highest 5,109m Margarita peak on the Rwenzori Mountains, a popular Uganda safari destination and the lowest 620m on Lake Albert.Virtually untouched and pure, Uganda is still traditionally African, home to the world`s friendliest people, lush green and her incredible weather is enjoyable and friendly all year round. 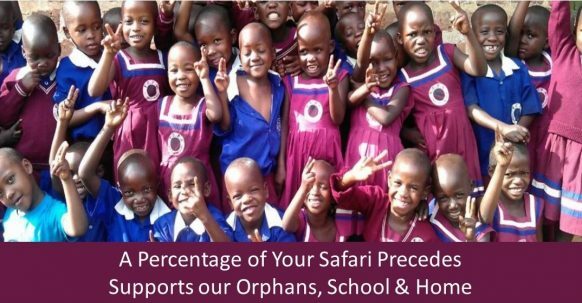 At Prime Safaris and Tours, we are passionate about our country and we rejoice in guiding you round it to help you know why it is called `the Pearl of Africa’, during your Uganda safaris. On a Uganda safari, Uganda’s physical geography is never disappointing. Talk of the gigantic Victoria Lake that form the source of the Nile River along with the chain of other lakes including Kyoga, Edward, Albert, George, Mburo and Bunyonyi (the second deepest in Africa) to the magical mountains of Rwenzori 5,109m (the third highest in Africa), the Elgon Mountain 4,321m (fourth highest in East Africa), three Volcanoes of Gahinga (3,474m), Sabyinyo (3,669m) and Muhabura (4,127m), Mount Moroto, Karamoja Highlands and Kigezi highlands. The stretching East African plateau, the flat landscapes of the western arm of the East African rift valley and their bordering steep escarpments including Butiaba and Kichwamba, the deep gorges of Kyambura and Sabyinyo, the splendid waterfalls of Murchison (world’s most powerful), Sipi falls, Ssezibwa, Itanda, Kalagala and Kisizi, amazing meandering Rivers including Kafu, Katonga, Nile (world’s longest), Mpologoma, the Semuliki, Rwizi and seasonal Kidepo River and the dense forests of Budongo, Mabira, Kalinzu, Maramagambo, Kibale and Semuliki combine to make your safari in Uganda an experience of a life time. Additionally to note is that these varied landscapes support great counts of flora, fauna and bird life. Our Uganda safaris feature birding since Uganda contains about 1,061 Species of birds forming a half of the bird species on the continent of Africa featuring one endemic bird species named the Fox Weaver. Besides birds, Uganda has the great count of primate species. Talk of the critically endangered mountain gorillas viewed on gorilla safaris in Uganda in their habitats of Bwindi Impenetrable Forest natinal Park and Mgahinga Gorila Park, the chimpanzees in the forests of Kibale Forest National Park, Semuliki National Park, Budongo Eco Reserve and the Valley of Apes – the famous Kyambura gorge, the endangered golden monkeys in Mgahinga Gorilla National Park, Black and white colobus monkeys, Red and Blue tailed monkey in Kibale Forest National Park not forgetting the localised patas monkey in Murchison Falls National Park and Kidepo Valley National Park. Uganda is also gifted with a count of thirteen (13) game reserves which are also ideal wildlife habitats. These include; Ajai Wildlife Reserve, Bokora Corridor Wildlife Reserve, Bugungu Wildlife Reserve, Kabwoya Wildlife Reserve, Karuma Wildlife Reserve, Katonga Wildlife Reserve, Kigezi Wildlife Reserve, Kyambura Wildlife Reserve, Lomunga Wildlife Reserve, East Madi Wildlife Reserve, Matheniko Wildlife Reserve, Pian Upe Wildlife Reserve and Toro Semuliki Wildlife Reserve. Besides the physical spread, Uganda features a population of 34.9 million people as of 2014 Census and is one of the most heterogeneous nations in Africa with a count of over 65 tribal groups that feature varied cultures with different customs, practices, livelihood patterns, settlement patterns, physical spread, events and festivals making cultural safaris in Uganda rewarding. Ranging from the Karimojong both the indigenous Karimojong that thrive in the Morungole Mountains and the Pastoralist Karimojong that thrive in the dry plains of Karamoja with their herds of cattle in the north east to the Batwa of the south west known as one of the last groups of the short surviving people in the world with their ancient settlement in the dense forests that mark the area, Uganda can affirm that it still features intact tribal traditions in East Africa. The highly organized Kingdom of Buganda with its Kasubi tombs – the burial grounds for the Kings marked by UNESCO as a world heritage, the pastoralist cultures of the Banyankole with their beautiful Ankole long horned cattle, the Bamasaba with their Imbalu ceremony where the boys are circumcised live to initiate them into manhood, the Bakiga of Kigezi that have inhabited the Kigezi highlands for centuries past presenting one of the magical human protected landscapes in the world with remarkable sceneries not forgetting the northern Nilotic tribes with their customary settlement and unique architectural huts combine to give a clear representation of Uganda and her capacity to offer remarkable safari memories. It can be noted that the best time to embark on a Uganda safari is from June to August then from December to February suitable for all the Uganda safari destinations. The Uganda safari high season inis between the months of June to September though it is not all that crowded. However, for gorilla trekking, one needs to secure the permits far in advance. The Uganda safari low season occurs in the months of March, April, May, October, and November. 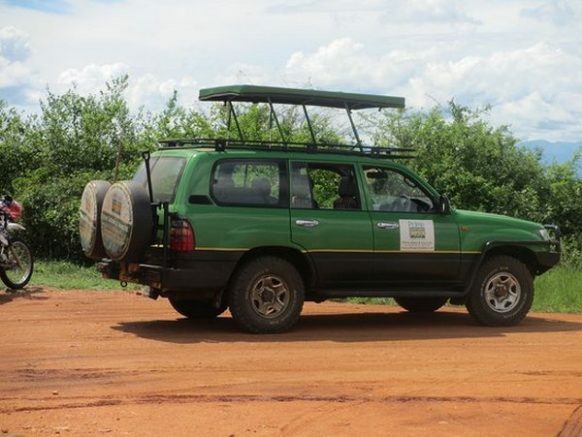 However, the notable ones are April, May and November and in these months the Uganda Wildlife Authority (UWA) offers discounted gorilla permits while the safari lodges also tend to offer discounted rates for the guests visiting in such months. In the high rain fall areas, the roads can be challenging and forest trails in poor shape. The best weather can be June-July and January-February where there is little rainfall and plenty of sun and this makes the high Uganda safari. The worst weather can be in the months of March, April and May which is the peak of the wet season/ low Uganda safari . 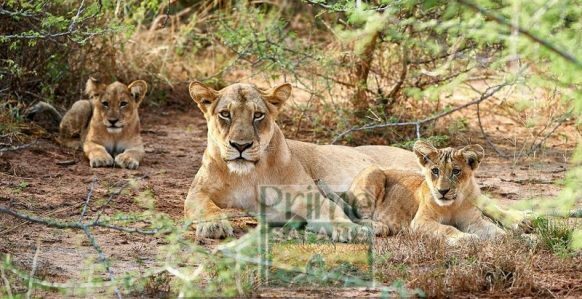 Despite the fact that wildlife is easier to spot in the dry season, the wet season still offers plenty viewing encounters and at times the new born ones. During the wet season, the roads at times get bad and the vehicles get stuck. The forest trails also become challenging and slippery. Heavy vehicles with 4WD are recommended. Kindly note that you cannot change the gorilla permit because there is heavy down pour in the morning of gorilla trekking. Also the departure time is scheduled. It can be noted that all the Uganda safari parks can be best explored in the dry months of June to August and then December to February. Uganda features no time difference arising from season changes like summer or winter. Uganda is only three (+3 GMT) hours ahead of GMT the popularly known Greenwich Mean Time which is also referred to as the Prime Meridian. 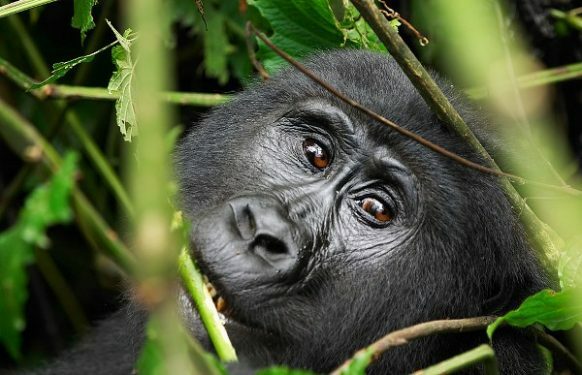 Considering the above attractions, undertaking a Uganda safari offers you an opportunity to explore all these attractions ranging from adventure to classic game viewing, gorilla trekking, chimpanzee trekking, bird watching, sightseeing and cultural tours and you would definitely require an esteemed safari company to travel with. Prime Safaris and Tours Ltd has positioned itself to make your safari in Uganda a memorable adventure of a life time by organizing a wide range of packages ranging from short to medium and long with some featuring specialty attractions while others are intermixed and surprisingly at an affordable price in any category that you wish to travel in ranging from Luxury to Mid range and Budget that you can hardly find elsewhere and yet without compromising quality of the experience as seen from the reviews of the traveler that have opted to use its services in the past. You can check out our reviews on our Trip Advisor Page. Explore the unknown, spend less, enjoy the best service right from the booking to the vehicle, lodges and the expert guides with Prime Safaris and Tours. Please feel free to contact us at any time.